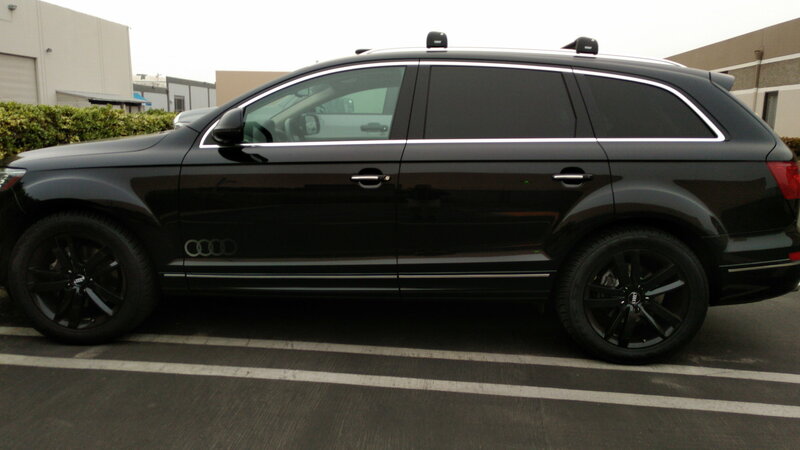 Hi all, fairly new owner of a 2012 Q7 with 21 inch peeler wheels. I see a lot of posts about lowering springs and was wondering if the H & R springs are what most people are using. I do not want to do coil overs. Any rubbing issues? It’s listed as a 1.4 drop to the front and a 1.3 drop to the back. Is that accurate? I do not have air suspension. Any pics would be great. Thanks! I have researched this. Some say "you will get the bounce" that heavy vehicles get when they are lowered. But I have read posts from a few people with TDIs and they said they liked the ride. I am also considering this. Does anybody have an opinion on these? After doing more research I think ill go with the KW Street Comfort Coilovers, they cost about 3x the price but I think would be worth it saying as the major part of the expensive for me will be installation. Thanks. I’ll research them, but am surprised no one has commented on the H & R springs. I am surprised as well, I would also like to hear people's real world experience with them. Picked 2015 Q7 TDi premium plus with 20k miles in October. After 10k miles decided to put wider tires and H&R Springs. Went with 295/45 R20 tires. No rubbing at all with the sport Springs installed. Have to put more miles as to report ride comfort, so far I like it, it sits lower, looks better to my taste. Less body roll, it's not bumpy, not stiff, just firmer ride. Do you have pics? Did you by any chance measure before and after? If so, how much was the actual drop? Front dropped 1.5" inch and back 1.25" inch. Did you have to go with stiffer struts and shocks? The reason I ask is I have read that going with the springs and not full coilovers will give you a bouncy ride.